A hobby for some, but sweat and tears for most of us. The process of providing a translation is a business, after all - one that is quite simple in its fundamental principles, yet demanding knowledge of the direction in which the work must be taken as a requirement, or at the very least something to be recommended. Even though Forbes' annual list of the most profitable industries provides an approximate idea of where the money lies in general, if this is applied to the translation industry it might not always mean that we are going to be able to find our pot of gold there. This blog will touch upon a couple of industries in which translation work has excelled in terms of financial profit. First off, the list of top earners suggests that the really big money can, of course, be found in the oil industry. This is also not far from the truth when it comes to translations, even though it comes into play only in a couple of sideways aspects - legal and technical. Arguably the most sizeable of the two is technical translations, mostly due to the incredible amount of technology that is required to extract oil, meaning that the accompanying documentation can be fairly vast (such as manuals, safety sheets, etc). However, the technical field continues to slug it out with the legal side of the industry to see which is biggest. Contracts, regulations, standards, court documentation, and more - these are just the tip of the iceberg. While it probably is the most toughest market for translation agencies to enter, getting one's foot in the door can guarantee rising profits for the foreseeable future. Whilst carrying out translations for the oil industry sounds very promising, and something that is worthy of investment in terms of time and resources, it comes nowhere near to the medical field; medical equipment in particular. 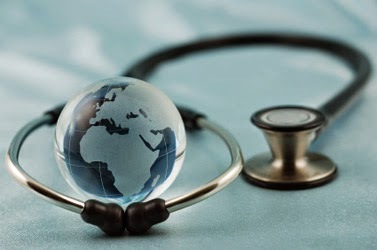 Regulations that have been issued by the World Health Organisation clearly state that in order for the equipment to be distributed to different countries, it needs to be provided with translation and adaptation to the target country. While translations for the oil industry can allow for exceptions to be made based on specific trading countries, the translation of technical documentation for medical equipment is an integral part of any successful market entry plan for manufacturing companies. This places the translation market in a very valuable position, one that has a lot of added value. Resource qualifications, experience, and market knowledge are just some of the points that can prove to be highly valuable when trying to sell yourself as the best translation provider in the market. If providing written translations is not the direction in which a company prefers to aim itself, simultaneous and consecutive translation services can turn out to be quite profitable as well. We believe that this area requires a particular level of dedication, which can sometimes exceed the efforts that are needed to run a written translations company, mostly due to the irregularity of the work. Experience tells that when working with government institutions, the European Union, or any other governing bodies of the country in which the company in question is based, this area of work can turn out to be the most profitable. Even though deciding on a particular market should be one of the first points on the agenda for any new translation company, following and adjusting to market tendencies in order to get the most out of what you do is only natural. Whilst the world is indeed moving towards a reduced carbon footprint and greener living, oil is here to stay for the foreseeable future. Despite this, we would like to think that human health will always remain the priority in our lives, which means that it is always a wise investment to adjust the choice of resources and technical capabilities in order to be able to service the medical care business. Of course, these areas form the world’s most outstanding industries these days, and the translation industry will always persist as long as companies are willing to trade goods with each other, which in itself is a basic fundamental of human nature.